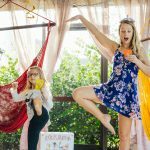 Setting off on a road trip with a family can be totally daunting between having to stop to nurse your babies, or give your preschooler 45 potty breaks. 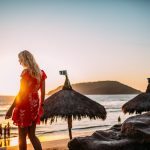 However, there are many things available on the market today that can help you along your journey. 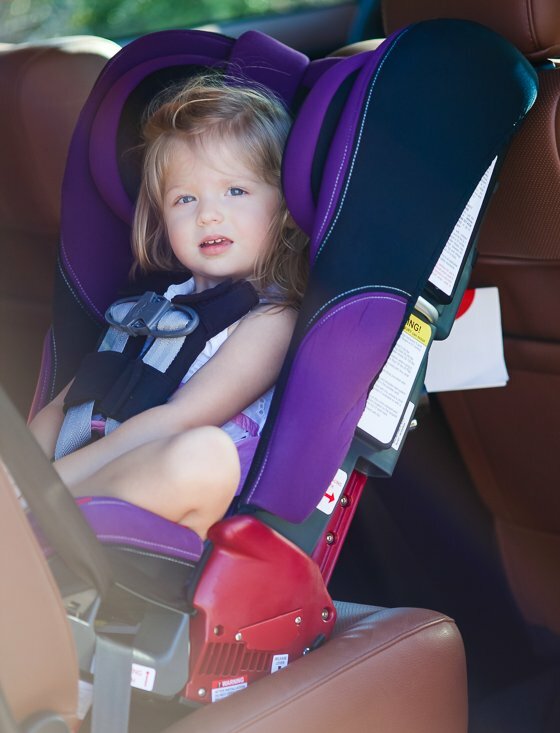 We recently had the opportunity to test drive some posh new vehicles from Toyota along with some carseats and accessories from Diono, and are excited to report our findings to you. 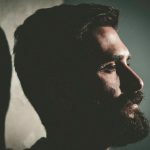 We can't guarantee a stress-less trip, however, we can give you some solutions for safety and convenience items that will ease your mind and help you focus more on the road ahead. It's so important when you're taking off on a family roadtrip to choose the right vehicle. If you're in the market and looking to purchase a new mode of transportation, you're in luck! We're bringing you the inside scoop on two of the latest and greatest family vehicles on the market today that we had the pleasure of cruising around Las Vegas in. 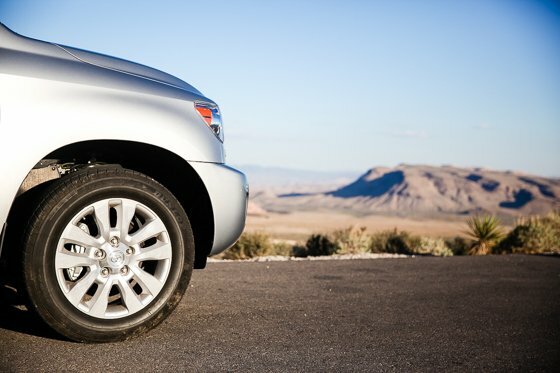 If you're not shopping for a new car, renting a large SUV or van for a roadtrip is also a great idea! 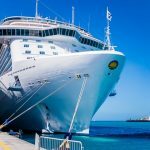 You're saving your own car the mileage and wear and tear, and you also get the opportunity to cruise the states in an upgraded and larger vehicle than you may have at home. 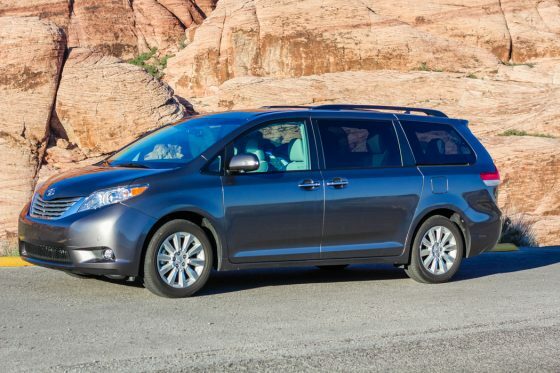 The 2015 Toyota Sienna is truly the ultimate minivan. So much so that it's also called The Original Swagger Wagon. Let's start from the inside and work our way out. The 2015 Sienna has a super stylish interior. The driver truly feels like a VIP. 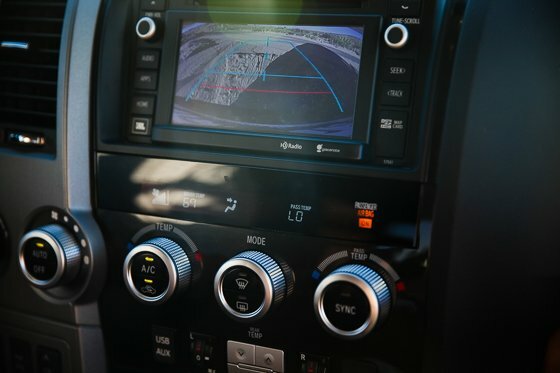 The wraparound dashboard makes it feel like an awesome cockpit, with plenty of storage, touchscreen and color screen GPS and backup camera, steering wheel shortcut buttons and Bluetooth. Trust us, once you step foot inside this rad minivan, you won't ever want to go back to anything else. While minivans may get a bad rap, this badboy can easily hold up to eight passengers. The versatile center seat in the second row can be folded down, creating two spacious captain chairs, or easily made into an extra seat to fit that stray carpool kid, or visiting out of town grandparent. Depending on how the seats are configured, you can adjust cargo volume from a generous 39 cubic feet behind the third row to a whopping 150 cubic feet with the second and third rows folded down. An all-leather interior is available, from the actual upholstery to the details such as the dash, door inserts and even the vent controls. 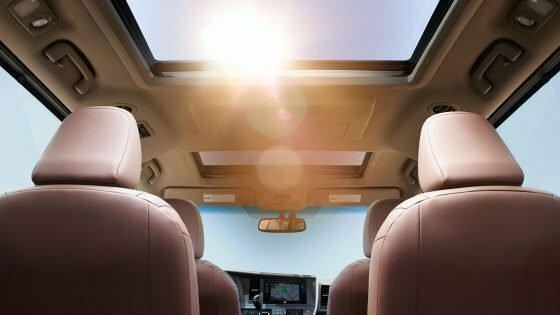 The 2015 Sienna also has an available dual moonroof, so everyone in the family can enjoy stargazing at night during a roadtrip, or enjoy a fresh breeze. 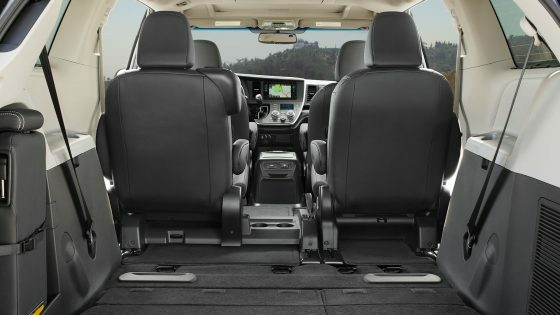 The Sienna also has all the bells and whistles that you dream of having in a minivan, such as a button-powered liftgate. You'll never have to struggle with juggling grocery bags and toddler hands and opening up your trunk again. 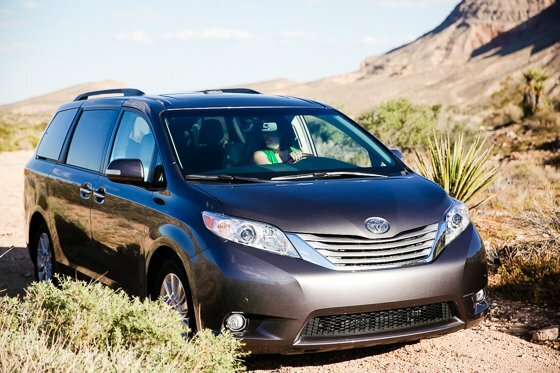 The Sienna has it all at the easy push of a button. 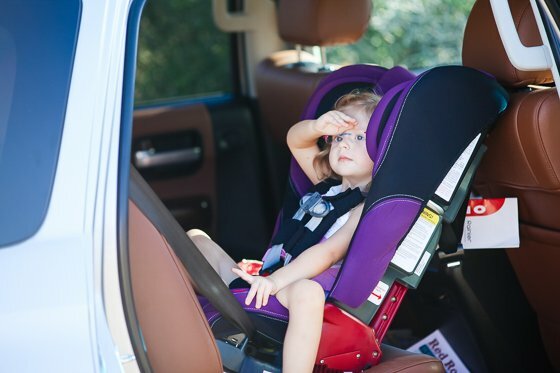 Do you dread getting your child in and out of their carseat without slamming your door into a neighboring parked car? 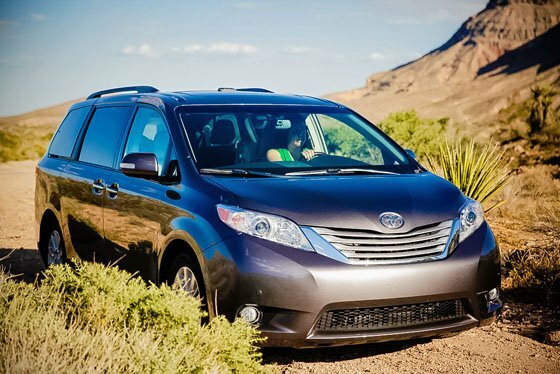 The Sienna also has optional power doors and gentle glide closure. The minivan doors slide open easily, and no more worries about dinging another car's doors! Kids these days - they have it so good! The available Dual-View Blu-ray Disc™ Entertainment Center includes a 16.4-inch color display, RCA jacks, two 120V AC power outlets, a remote and two wireless headphones. Its unique screen can display one wide-angle image or two smaller images from separate sources at the same time. Another posh upgrade includes second row captain chairs with adjustable ottomans and armrests on select models. 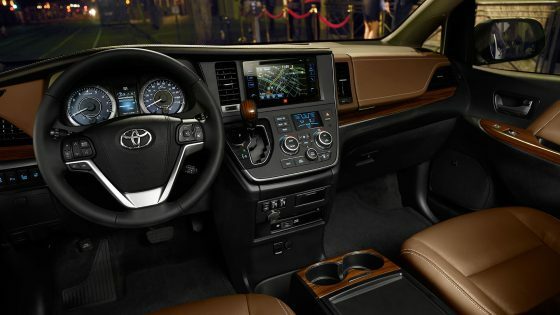 Second row climate control comes standard on all Sienna models, as does the center row console between the captain's chairs, that's perfect for holding snacks, drinks, or other entertainment items. The smart key allows you to start the Sienna at the push of a button on the dash, without having to dig to the depth of your diaper bag to locate your actual key. The outside of the van is also upgraded as well in the 2015 model. Sienna SE’s bumpers help you stand out no matter where you park. Unique front and rear underbody spoilers hint at SE’s performance message and look undeniably cool. Adding to Sienna SE’s bold styling details is a sport mesh front grille with smoked chrome trim surround. It’s a design cue that’s unmistakably Sienna SE. The sporty Sienna SE features projector-beam headlights with smoked lenses and LED taillights for a sleek, modern look. The LED Daytime Running Lights (DRL) add even more swagger. These shine bright, and with their eye-catching profile, add a premium feel. 19" Alloy wheels allow you to trek through some serious terrain, and the optional all-wheel-drive model is perfect for cold climate families that also have to dredge through whatever snowpocalypse mother nature throws your way. The EPA for the 2015 Toyota Sienna is 15 mpg highway, so filling up at the tank won't break the bank either. From one mom to another: I have long wished for a mini-van. Having multiple children does that to a woman, I believe. I seriously didn't want to return this Sienna and wished I could keep on driving to Denver with it. It's stylish, and doesn't scream, "frumpy!" and feels so spacious and luxurious. 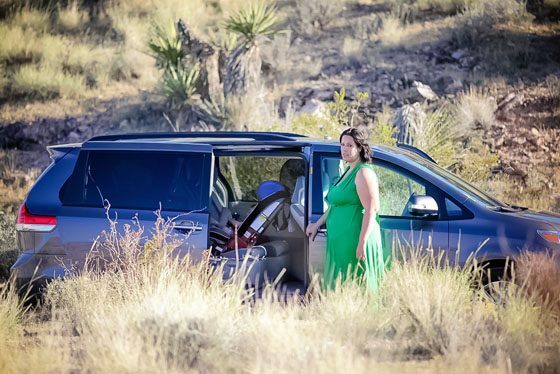 Being able to fit my extended family as passengers in the Sienna was great for driving around Las Vegas, because we didn't have to take two vehicles. My son's carseat fit inside the Sienna like a dream (unlike my small SUV at home.) 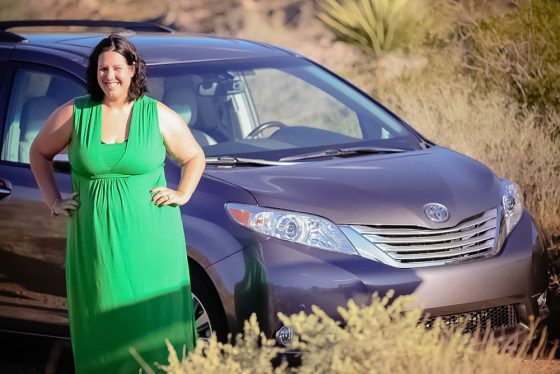 I would highly recommend the Toyota Sienna to any minivan lovin' momma out there, like myself! 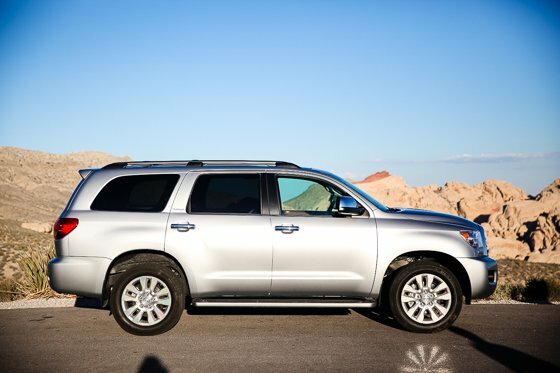 As reputed, the 2015 Toyota Sequoia is anything but ordinary. This car is designed for the multitasker with powerful flexibility. This is a large, truck-based SUV that offers excellent family practicality and towing capabilities and no crossover can ever hope to rival its tall and truck-based front end. 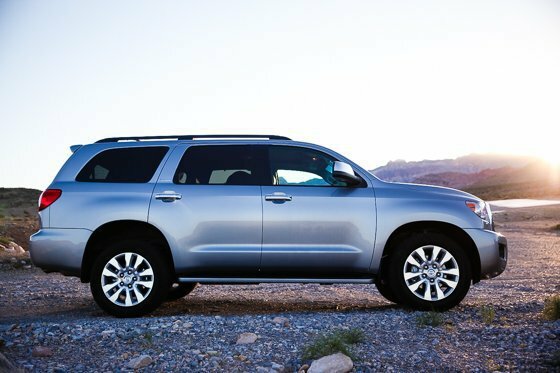 However, the 2015 Toyota Sequoia is not just about rugged transportation, it comes with the comforts of a well-made interior, with impressive fit and finish. The cabin appointments of the Sequoia feels like what a high-end full-size pickup should be. Available with spacious and comfortable seating for eight, Sequoia has room for the whole family, your friends, and even your pets. For adventures not requiring eight-passenger capacity, the Platinum model offers second-row passenger's captain's chairs. It’s all luxury with heated/ventilated front seats in the Platinum that will help you cool down or warm up wherever your journey takes you. Cool down in Death Valley or warm up in the Sierras, regardless of the climate outside, you can adjust the weather inside the Sequoia. 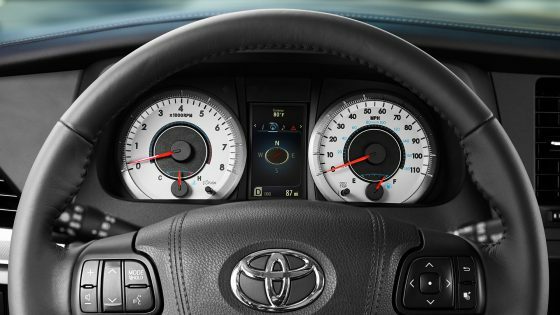 With second-row climate controls, you set the temperature to make it as comfortable as you want it to be. Take in more of the world with Sequoia's one-touch tilt/slide power moonroof with sliding sunshade. 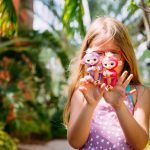 Imagine your kids looking up and seeing the treetops of a tree-lined drive to the country, or a sky full of stars driving through a desert night. The moonroof doesn't just open up the cabin, it opens the entire experience. The Sequoia makes it easy to position yourself for any adventure. With one button, the Platinum and Limited models offer power reclining and fold-flat third-row seats that adjust to accommodate whomever or whatever you’d like them to. With standard sliding, 60/40 split folding, second-row seats and third-row seats that fold flat on the SR5 and Limited models, loading and unloading gear doesn’t take time away from the adventure at hand. Plus the 60/40 rear split-fold seat design gives you even more options for what you can carry along on your travels. Whether your adventure involves home improvement materials, camping gear or a new furnishings for your home, with all the seats folded flat, Sequoia’s 120.1 cu. ft. cargo capacity behind the front seats is ready for it. You can access this space easier with just the press of a button on the key fob with the available power liftgate. You can close it the same way, too, or use a button inside the cargo area or on the dash. 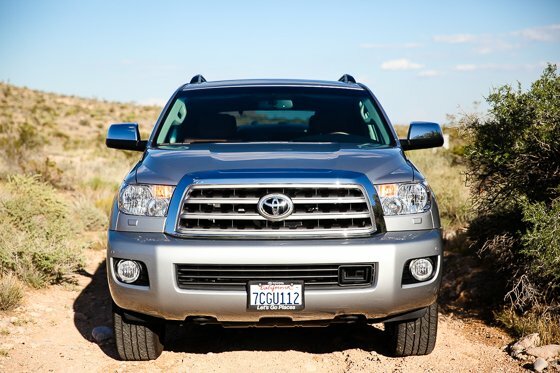 When it comes to storage, Sequoia's vast cargo area is just one of the options. The dual-level glove compartment with a larger space below and smaller one above lets you keep things well within reach. Standard on the Platinum model is a multi-functional second row center console, giving passengers seated there additional cup holders, heated seat controls and extra storage space to call their own. Keeping your passengers entertained on your trips in the Sequoia is a breeze because this car takes high tech even higher with the Entune Premium Audio system with Navigation9 and App Suite. At your access is a collection of popular apps including Bing, iHeartRadio, MovieTickets.com, OpenTable, Pandora, Yelp and Facebook Places. It’s all just a touch away. If you need info on your stocks, weather, sports or fuel prices, it’s no problem. Real-time info is included, you can even get your local weather forecast to help plan your day. With Sequoia, you set the soundtrack for your adventure thanks to a USB port that enables iPod connectivity and control. There's an auxiliary input jack for other music players, and the available system also features Bluetooth hands-free phone capability and audio stream. 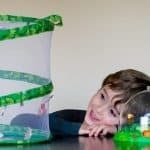 You will have no problem keeping your kids busy during the ride. The Sequoia offers back passengers the luxury of a Blu-ray Disc player to watch movies, making it the first production vehicle SUV in the world to offer high-definition rear-seat entertainment. On Platinum models, the rear-seat Blu-ray Disc entertainment system includes a 9-in. display and two wireless headphones. To make the going even more fun, this system has two RCA jacks, so your kids can plug in virtually any audio or video player they bring with them. The exterior of this SUV is just as well equipped as the all-encompassing interior. Sequoia’s standard roof rack with available cross bars lets you conveniently carry the extra gear you want for your road trip, while the cross bars that attach to them add even more flexibility. 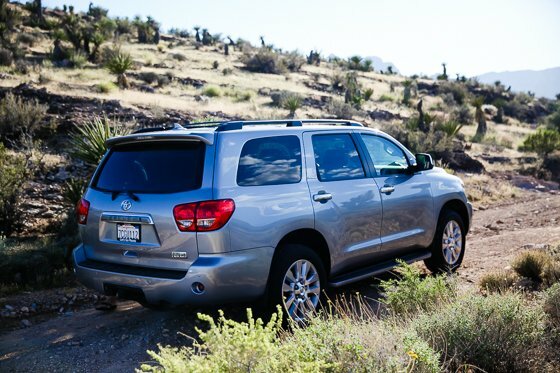 From skis to surfboards to sleeping bags, it’s all a piece of cake to carry on the 2015 Sequoia. Whether your adventure calls for boats, trailers or even other vehicles, you'll appreciate how easy Sequoia's 7,400-lb. towing capacity, makes it to bring them along for the ride. When towing heavier items like a boat or trailer on hilly terrain, Sequoia's TOW/HAUL Mode selects transmission shift points to help optimize your engine’s power. The safety of your family and friends is always a priority in the Sequoia with advanced passenger protection. 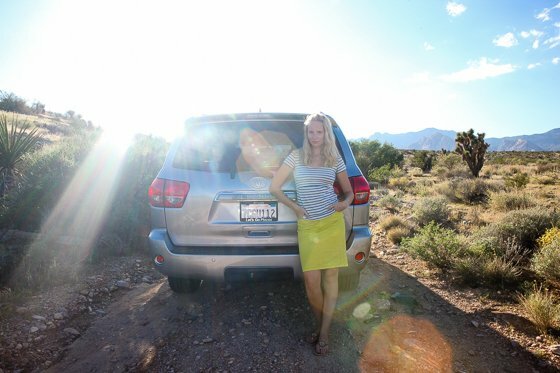 From one mom to another: Going from a luxury sports SUV to a roomy Toyota was an eye opening experience. 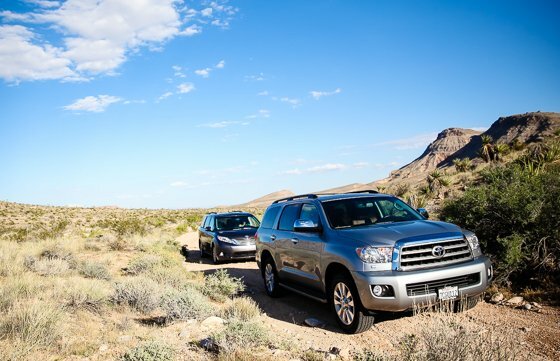 Driving the Toyota Sequoia felt like being on an island and that's where you start to appreciate extra space inside your vehicle. 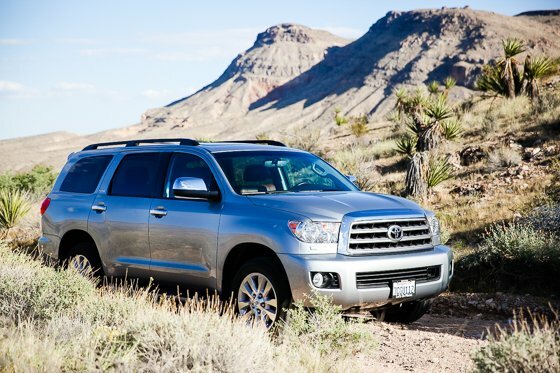 Roomy, hi-tech, comfortable, space for everything you can think of and more is what I still think of my Toyota Sequoia experience. It definitely makes you wish for a bigger car when you return back home. For a family with multiple children who do not want the feel and look of a minivan, this SUV will offer anything you would expect in a modern car. And let's not forget the dreamy car seat fit- plenty of room for whatever angle of recline your child prefers. 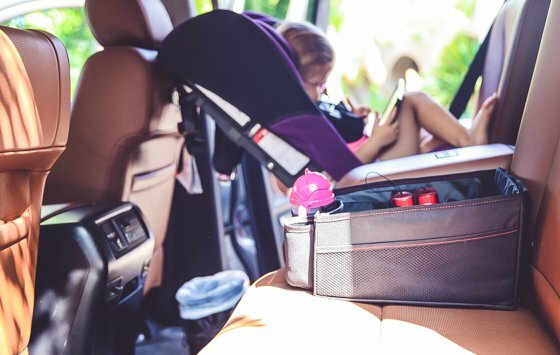 When you're going on a trip with children, having the proper car seat goes hand in hand with finding the perfect vehicle to suit your family's needs. 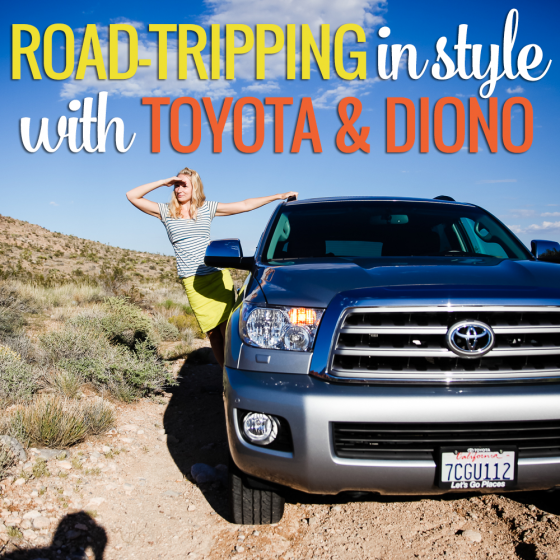 Diono is the one stop shop for all your car traveling needs or wants. From the amazing and safe carseats, to all the perks of the accessories, you won't bat an eye taking off for a road trip with your family. 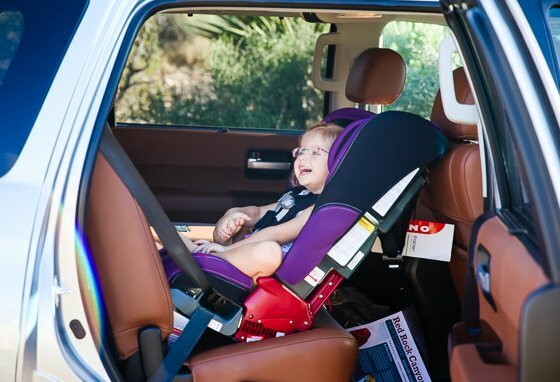 The Diono Radian family of carseats are the only convertible + booster seats with a full steel frame, making them one of the safest carseats on the market today. It rear faces from 5-45 lbs, and forward faces from 20-80 lbs (up to 57"!) in the 5-point harness, and up to 120 lbs in the booster seat. It's narrow enough to fit 3 across the back seat, and even folds flat for easy transporting, which comes in handy if you're lugging everything through the airport, or rental car office. Speaking of airports, it's even certified for in-flight use. To learn more about the Diono Radian RXT, click here for the full feature. 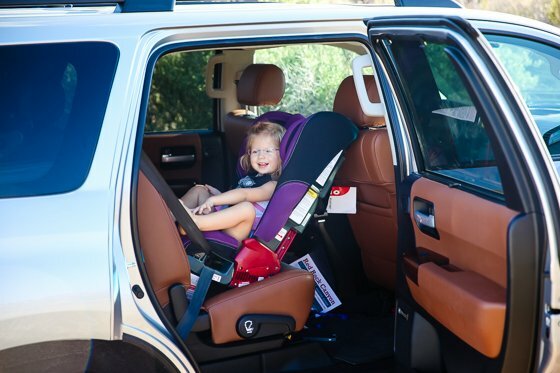 The Diono Ranier Convertible Car Seat has a breathable cover, perfect for those long, hot, desert road trips. It's steel frame gives an unmatched level of safety, and has an unbelievable 12-year lifespan and a 1 year warranty! 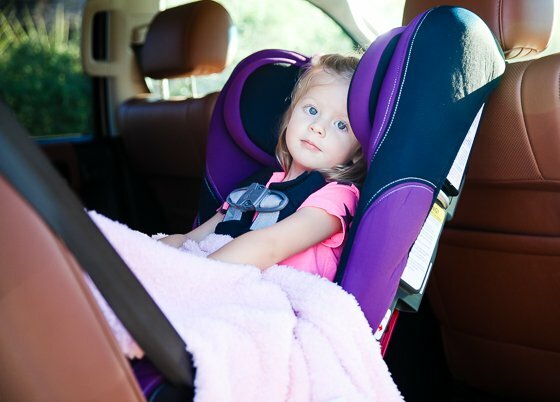 The 12 position adjustable head support and the comfortably padded reinforced side walls with energy absorbing foam allows for maximum protection while your child is riding in the car. It accommodates children rear facing from 5-50 lbs, and forward facing from 20-90 lbs. In booster mode it will allow your child to ride until 120 lbs and 57"! The space saving shape of this seat allows for a comfortable ride for the passenger sitting next to the seat, while also allotting for plenty of room for the child seated in the chair. In-flight certification makes this seat another wonderful choice for the travelling family. 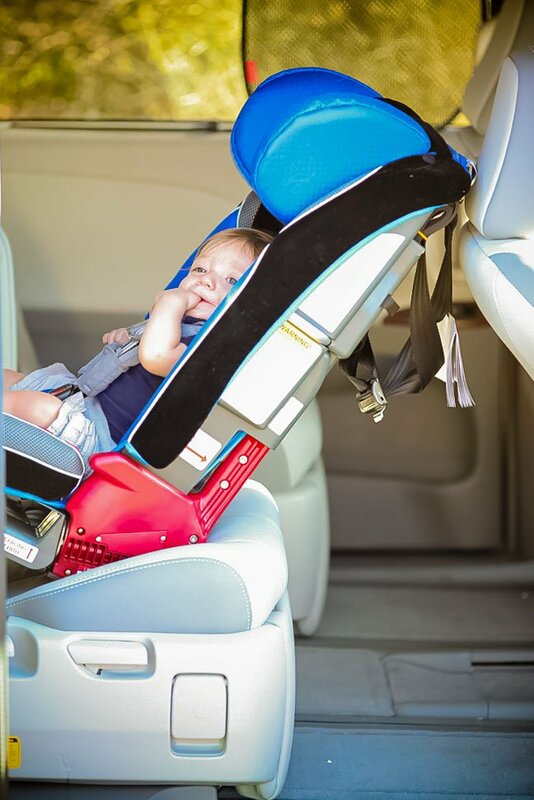 If your child can sit up unassisted, has complete head control, and you're rear facing, the Diono Angle Adjuster is the perfect add-on for your trip. It adjusts the angle of the seat, allowing your child to sit upright more and not be so reclined. This will let them take in the views, while still safely rear facing. As an added bonus, it also increases the leg room for the front seat by about 4"! 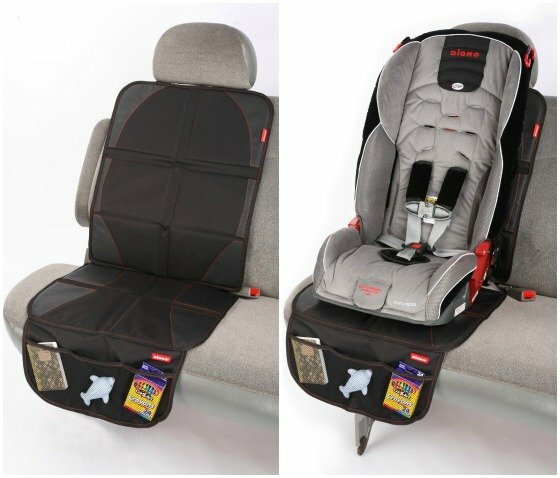 Approved and crash test certified to use with Diono carseats while rear facing, this high density foam adjuster is a life saver for those kids that wish to sit more upright, and the parents that want more leg room up front. Riding with children in a rental car can sometimes be stressful. 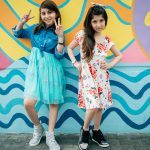 If they are rear facing, their dirty shoes may be marking up the backseat upholstery, or they may accidentally spill their milk cup and stain the seat under the car seat. Maybe you are trying to preserve the life of your leased vehicle, or simply hate taking off muddy boots before putting your kiddo in the car. 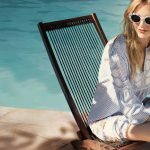 The Diono Ultra Mat Full Size Seat Protector is a great option to solve those common travel woes. The foam panels cover both the seat bottom and back to provide the ultimate protection from dirt and grime and scratches. 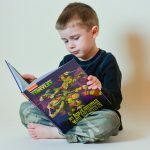 It features organizer pockets which are very handy for parents to stash small items to easily hand the child. The top and bottom grip surfaces keep the mat in place, and it's latch compatible. Since it is also an approved accessory for the Diono carseat, you can rest assured that it will never hinder the safety of your child. The Diono Easy View backseat mirror has a large viewing surface so you can always keep your rear-facing cutie in your sight. It hooks universally onto any headrest. The Diono Travel Pal Car Storage has a deep cargo bin, and holds lots of loose items safely along your journey. 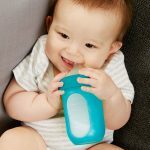 It is waterproof, to protect your upholstery from any untimely sippy cup accidents, and has insulated drink holders that keep their drinks cool while you cruise! There is a small flap on the backside that slips between the seat, keeping these items safe and secure inside the storage bin as well. Traveling with kids is a messy job. 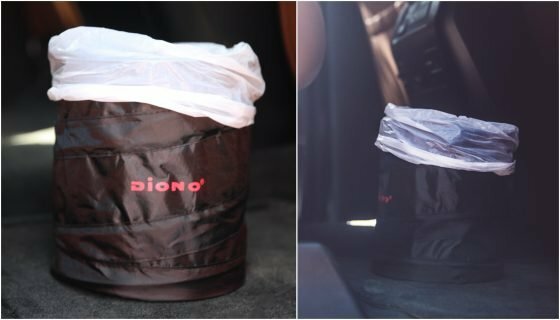 The Diono pop-up trash bin can help keep it all together in one convenient location. The drawstring closure on top keeps the items securely inside, and the water resistant fabric protects your floorboards. It also collapses flat for easy storage, and you can easily purchase conveniently sized refill bags, making it easy to dump the junk at a gas station while you're on the go. 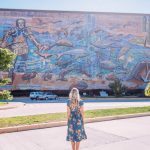 Taking off on a road trip can be overwhelming, but the memories that you make with your family will last long past the sleepless nights wondering about rest stops and potty breaks.